I decided to take a little time to get out into space on the test server. The Kronos items are starting to appear. 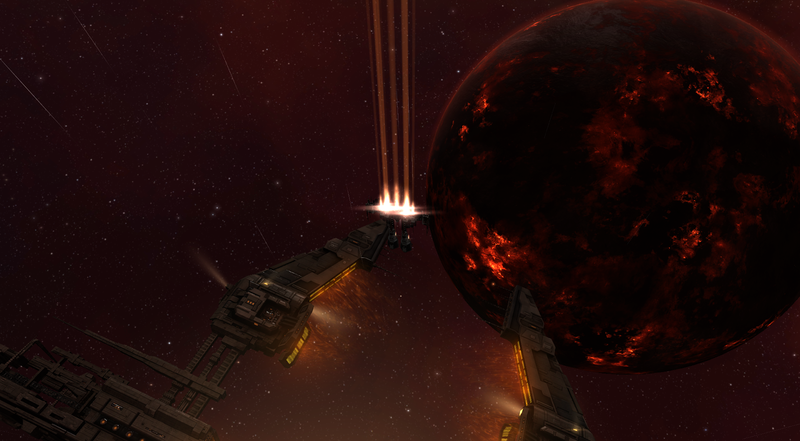 CCP recently announced that they are pushing back the industry build for another six weeks. The reason behind that is so that they can properly test the changes. They received a lot of feedback from the dev blogs and even more at Fanfest. They listened and started working it in. The side effect is that the industry changes will be delayed for a few more weeks while the rest of the content is pushed forward. I was very involved in testing with Odyssey. Exploration was a main activity of mine and Tags4Sec were also introduced. I test from my perspective as a low sec pilot doing these sites as part of their daily money making tasks. With Kronos, I hope to do some of the same. We will be getting a new pirate NPC that drops ship blueprints. I'll also play around looking for ore site spawns and eventually I'll do a very bad job at playing with industry in some sub-optimal way to get a feel for it. I am quite bad at finding new features on the test server. New builds drop and about an eighth of a second later people have uncovered goodies, such as when dual character training came up. I'd have missed that completely. I test serer like I play which may make me bad at testing. However! I don't let any of that stop me. No rig slots for my freighters yet! 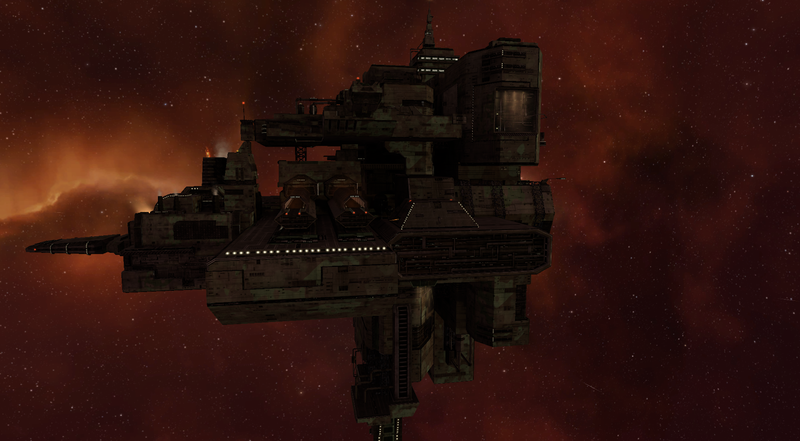 However, station skins appear to be in and I admit that they are gorgeous. I wandered over to Molden Heath in the dumbest way possible. 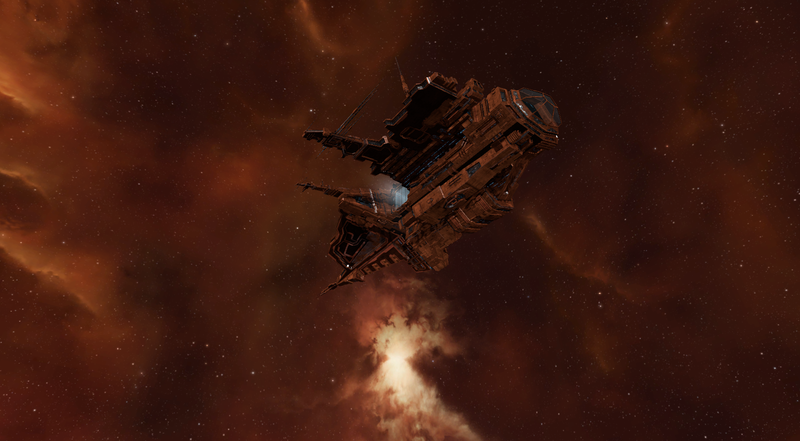 I auto piloting, on the test server, through low sec. I have no idea why I did it and about halfway there I realized that it was stupid. However, I was doing things on other accounts such are moving items and making jumps to deliver for both corporation and store. The auto piloting thing was dumb but I did it anyway. Some of the most amazing scenery is right around gates. I was reminded of my desire to have a bit more tech overload in the game. I'd love to have more billboards that show different things. I've stated my desire for faction warfare billboards that announce the war zone stats. 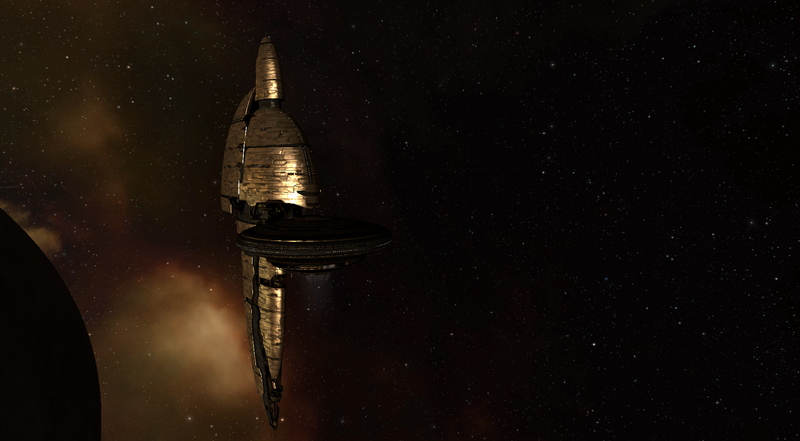 I'd love to see adds from NPC corporations and warnings from Concord. I auto piloted home and met the new Bosena. And while I still can but cover my eyes at the space camouflage, it has character now. 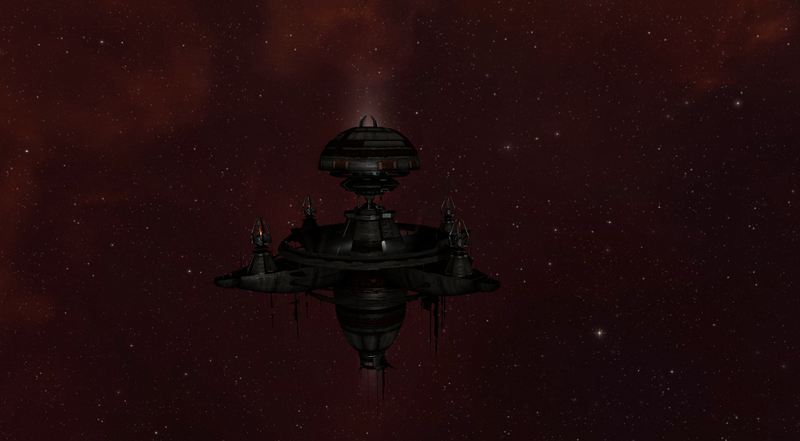 The station skins are racial. It makes for some pretty stunning images. The most arresting, for me, is Ueber's home in Oddelulf. Black and red with a slight glow and burning torches around its edges are the perfect accent for the Dragon of Oddelulf. Station skins are a small thing but I think they are amazing in the way the path drawn through space is. Now you will have a visual indicator when you warp to the wrong station. The monotonous sameness is gone in many ways. More than the names the skins separate the different corporations that occupy a system. A fitting space castle for Oddelulfs dark lord indeed. "I auto piloting, on the test server, through low sec. I have no idea why I did it and about halfway there I realized that it was stupid." 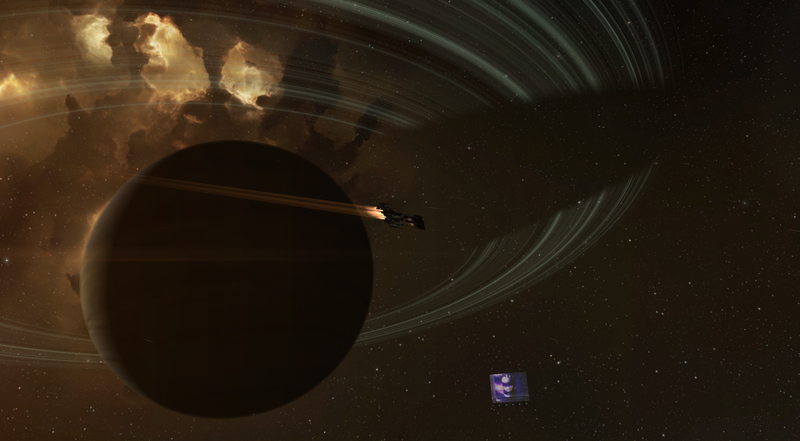 Actually non-consensual PvP outside the designated areas is bannable on Sisi. You're supposed to be free to go and test in peace. It was stupid because it took so long. I could have clone jumped. I didn't need my ship. Or autoed in something faster.